(Trade Card). “La Habanerita.” BAILARINA Y COUPLETISTA / DANZAS SUGESTIVAS / Grande y variado repertorio / LUJOSA PRESENTACIÓN. [Madrid]: N.p., . 3-1/2 x 5-1/2 in. 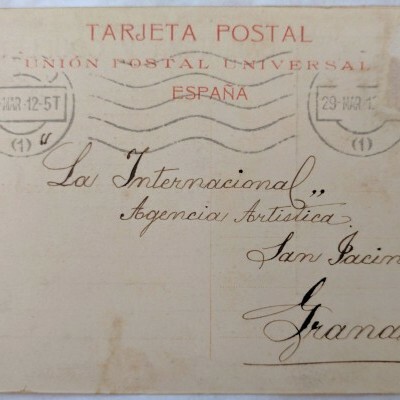 postcard with publicity photo, pay rate, etc., printed recto and verso with manuscript notes and address; date from postmark. Sent by the dancer, La Habanerita, to a talent agency in Granada. “Danzas sugestivas” was a euphemism for the Romani-influenced flamenco popular in Madrid nightclubs in the 1910s. 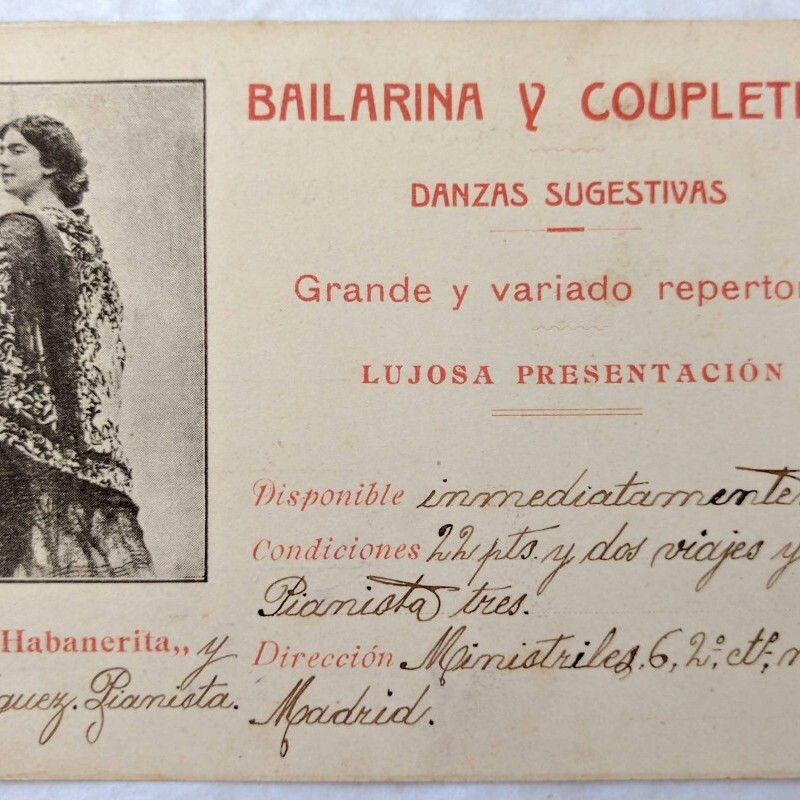 Autographed postcards of famous coupletistas are known, but direct marketing examples from the performer to potential employers and agencies are uncommon.